B and B Surveying Company wins the 2012 Super Service Award from Angie's List. B and B Surveying Company has won the 2012 Super Service Award from Angie's List. You can read more about the requirements for this prestigious award here. 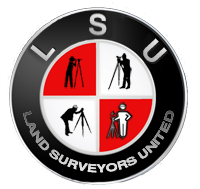 And if you're interested in a little background on why it is that we are rated so high, check out this blog post on Land Surveyors United. This is our second year in a row to win this award. I'd like to thank all of my terrific customers and clients for nominating B and B Surveying for this award. I know it can be rough at times, but we couldn't have done it without you. Thanks!